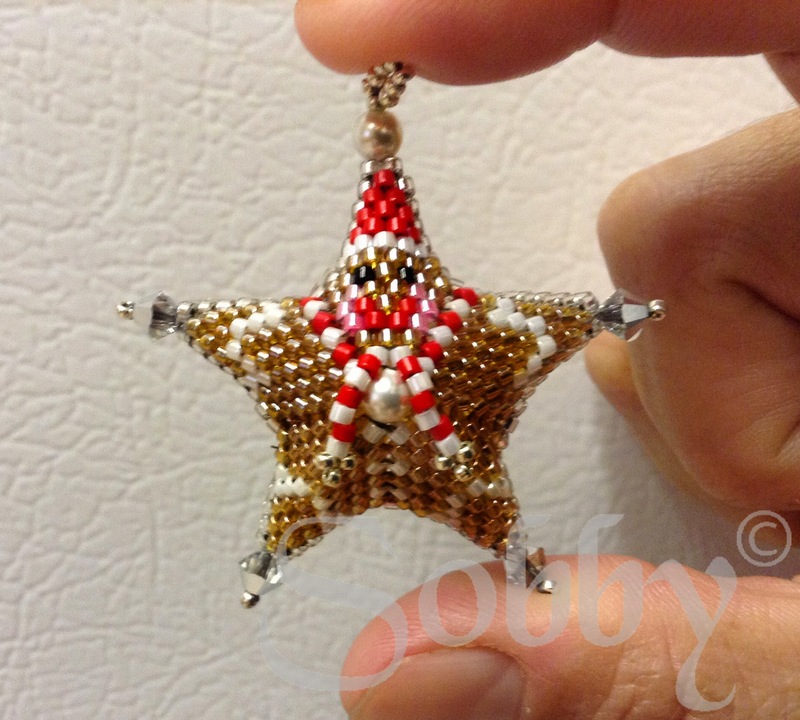 Pipa the Latest: journal of a messy crafter: Gingerbread Star! Seems like a long, long time has passed....wait...it's already 5 months since my last post!!! Haven't been beading lately, but experimenting with patterns. And with my life. The actual beadwork and the pic are from April Barnes, a customer that turned this last month into a helper and adviser, and I have to say it is good to be a little pushed from someone who likes your work. Gingerbread cookies are really popular in Austria, their name is Lebkuchen and taste amazingly. You can't see all the details here, but a pattern will be soon released... just in time for Christmas! How nice to see you on your blog again!!!!!!Hugs!!! !